Leif laughed inwardly as he heard the lock engage. Lorraine was definitely an odd sort of female, with all her outlandish outbursts and peculiar reactions, but no less interesting. She had this way about her that made him pay close attention, made him want to pay close attention, else he might miss something. No woman had ever been able to do that to him. He was not a man easily beguiled. ‘Exceedingly picky’ were Kristoff’s words on many occasions when they could’ve had a few choice opportunities with several of the women who entered Tí Joe Mac’s Pub in Kilronan. But he always found a way to stay clear of them. Either their hair was too short, their fingers too long, or they were excessively giggly over anyone who spoke Gaelic to them. No matter how beautiful they were to the eye, Leif always managed to find some flaw, an imperfection he couldn’t get passed. The only imperfection Lorraine possessed, if he could call it that, was being unreadable. Even then, he couldn’t rightfully hold it against her. He was glad that she left him guessing, left him wondering what she’d say or do next. Every time he spoke to her, he had no idea what would come out of her mouth. And what a pretty mouth it was. Her lips were a delicate shade of rose and looked just as supple as the petals from which its color derived. He imagined they felt as soft and delicate in a kiss, and longed to taste them, to press his lips against her and savor every blessed moment of it while watching her eyes close in automatic response. Their exquisite brilliance utterly entranced him. He couldn’t look away no matter how hard he tried. They shone as bright and vivid as the intrinsic color of an emerald, with flecks of lighter green pigments fissuring throughout. Though he’d stared at them as if they were rare jewels tucked within the hilt of a Viking warrior’s ceremonially-bent sword, uncovered from a sacred burial site, he couldn’t help but feel he was gazing into something he’d known and seen before. Words could not describe what he felt, except that his longing was innate—as if her eyes and all its wonders had been engraved on him from years past. Again, he laughed inwardly, reminding himself that his entire week had fallen into the epitome of the absurd. Between finding the carved chest of treasured antiquities buried beneath his porch to having a gorgeous woman bathe in his home, he could hardly believe his bizarre stroke of luck. He quickly left the hallway and entered the kitchen, flipping the nearly burned fish in the pan. The unrelenting vision of her slick wet body clung to him like a wet blanket, drenched with his own lustful musings of what she’d feel like if he dared to touch her. At least, he was glad to know he was still a red-blooded man. As many times as Kristoff had ridiculed him for his lack of interest, tonight he didn’t have to ponder his gender. It was as plain as the nose on his face, and stuck out a bit further than he cared to admit. Leif turned at the sound of Lorraine’s voice, not expecting anyone to be behind him, and almost knocked the pan off the stove. He caught it by the handle, fortunately, steadying it before it slid off the edge. “I take it you’re not used to a woman in your home,” she stated discernibly. I’m sure it was. “Good.” He rallied his best casual voice and turned back to the fish, still simmering on the stove. As he resumed cooking, he secretly regarded the way the small swell of her breasts put curves in his oversized T-shirt that her raincoat had once hidden. Though her dainty figure had been virtually swallowed up by his cotton drawstring sweats, he knew somewhere beneath all that fabric was an enticing set of feminine curves. He thought he heard a slight chuckle, regretting that he’d probably missed the first opportunity to see her smile. But he kept to his mission of transferring the food to the two plates sitting on the adjacent counter. That little feat required more of his attention given he wasn’t much of a practiced chef. Adding the final touches to the plate with a few island flowers he’d picked days ago—only because he heard from the more experienced chefs in Dublin’s pricey restaurants that presentation was everything—and a slice of soda bread on top, he turned around and caught her looking at him. Her eyes, however, did not meet his until they jumped up from a lower direction. She cleared her voice and looked away, feigning that she had ever been looking at his arse. Leif was not a stupid man, nor did things often get passed him, but for her sake, he acted as if he were none the wiser. She did as he suggested, wringing her hands in the extra T-shirt cloth at her waist. For that reason, he sat in the seat directly across from her instead of next to her where they could share the same corner of the table. Disappointed as he was, he refused to show it, keeping a keen eye on her facial expressions and body posture. At the present, she sat stiff-backed in the chair, her eyes fixed on the bounty of food he placed in front of her. A quick grin teased her lips when she saw the white and yellow daisy garnishing the corner of her plate. She never said a word in regards to his makeshift embellishment, but the smile that hung about thereafter was enough for him. She didn’t waste any time taking her first bite, closing her eyes as she pulled the fork from her mouth. Her shoulders melted and a slight hum reverberated from her lips. Another smile. That one he was sure to catch. “I don’t know about all that,” she replied uncertainly. I shied from his intrusive eyes, feeling the heat of his stare setting me ablaze. Leif’s voice caught her off guard and she looked around, confused, the name Dægan echoing in her ears. She blinked, staring at the man across from her, his face illustrating as much bewilderment as her own. “You all right?” he asked, reaching for her hand. Instantly, she pulled away, trying to gather her wits. It seemed she’d hear Leif’s words in the same minute she’d hear the exact same thing from a man by the name of Dægan. What the hell was wrong with her? Why did she keep seeing things that weren’t really there or hear conversations from an unknown past, which were so akin to what she was talking about now? “You blacked out for a moment,” he explained. “I did?” The question came out of her mouth even though she knew she had gone somewhere else, somewhere that seemed like memories. It was as if she were having personal recollections of long ago, which involved her and a Norse warrior in some uncanny fashion. Again, he didn’t look convinced. But what else could she say? She was as lost as he was when it came to her “blacking out” and no amount of pondering it could procure a logical explanation. For the rest of the meal, they both lost their tongues for small talk and the only sound heard was the casual clinking of silverware on their plates. It was just as well, since neither seemed to know what to say anyway. Despite the great food and warm hospitality Leif had provided her, Lorraine wanted nothing more than to be alone. To lie down with her thoughts and hopefully be exhausted enough to sleep. She prayed for sleep. Sleep without dreams. Somehow, as she glanced over at Leif looking at her in the most concerned way, she didn’t think she’d get her wish. When I am not writing, I love to spend my time on the back of a horse, whether with my family or with my friends. There is nothing like feeling the sunlight on your face, the wind in your hair, and the power of the animal beneath you as you enjoy the beautiful scenery. Seeing the world from a saddle is, by far, the best view and the best therapy for a heavy heart or a troubled mind. My therapist's name, or my horse's, rather, is "Statues Suddenly Lucky", a full-blooded Tennessee Walker, and of course, he goes by the name of Lucky for short. I am a sucker for a good cup of coffee (lots of cream and sugar...and whipped cream if I can get my hands on it), great conversation, and a lilting Irish accent. I love to read and I can't resist watching great epic historical movies. 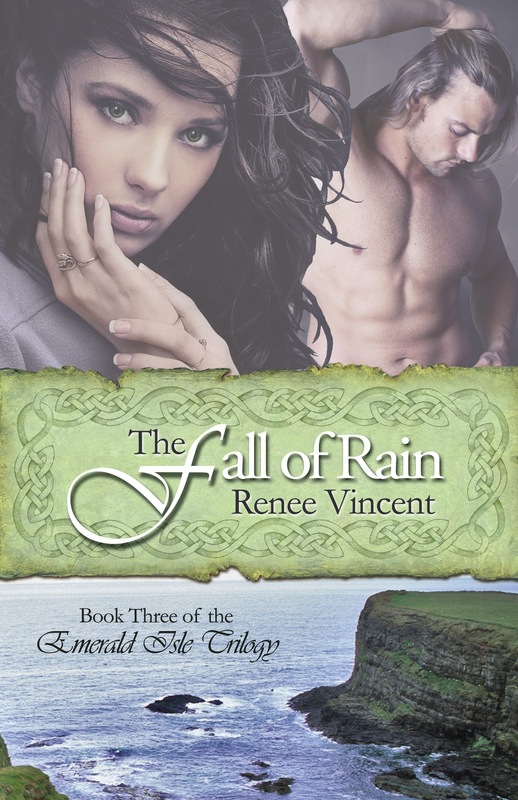 “The steadfast, true love Ms. Vincent creates in Mac Liam takes one’s breath away. 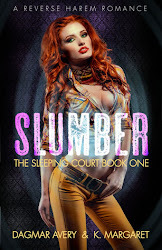 "Ms. Vincent’s writing has the unique ability of capturing both the reader’s heart and mind… I thoroughly enjoyed everything about this story and would love to see it become a movie. Another highly recommended read by Renee Vincent!" 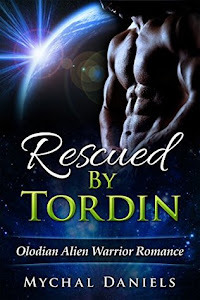 Her writing sparkles, and given this is the author’s first attempt at contemporary mainstream romance, she creates the right impact for settings, pace and conflict. Her balance of the self-absorbed hero meeting emotionally challenged heroine is stunning because of her research into the heroine’s background. This book is a keeper." Thank you so much for the feature today! And what a really cool blog!